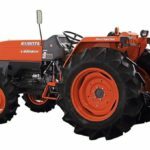 Here I m Introducing Kubota L-Series l3200 Compact tractor, That provides high performance, outstanding durability, easier operations and enhanced comfort. The new L-Series l3200 not only performs but features a revamped design with smooth, rounded contours from front to rear that also improve visibility so you can get the job done better and faster. 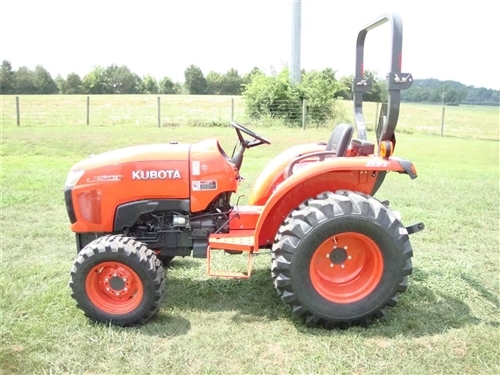 This New Kubota L-Series l3200 compact tractor designed with this main features such as indirect injection, vertical, water-cooled 4-cycle diesel engine, No. of cylinders 3, Cubic Inch 1499, 83 x 92.4mm bore & stroke, Category I 3-point hitch, Hydrostatic transmission. 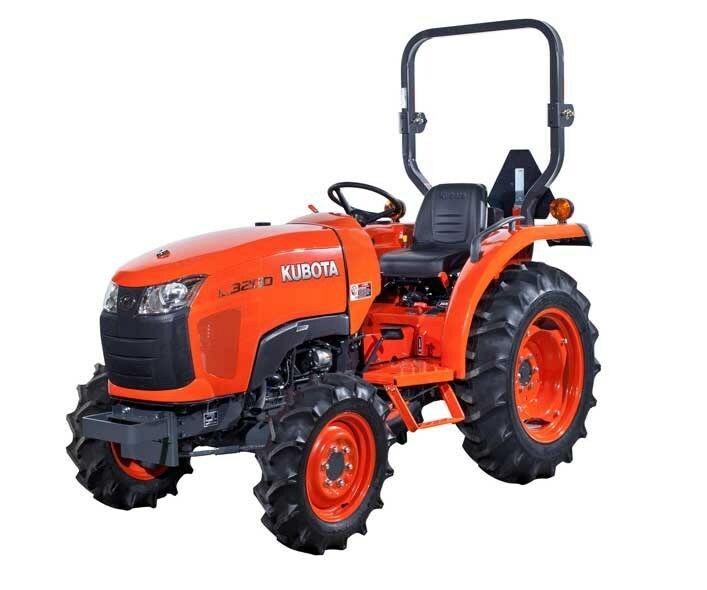 The Kubota l3200 Compact Tractor Original Price is $12,185 USD for 2WD and $15,090 USD for 4WD. 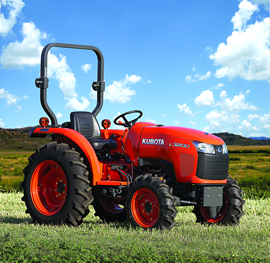 The Kubota L3200 designed with more Horse Power than ever before; you get to a higher level of performance. This engine model type is an Indirect injection, vertical, water-cooled 4-cycle diesel engine. 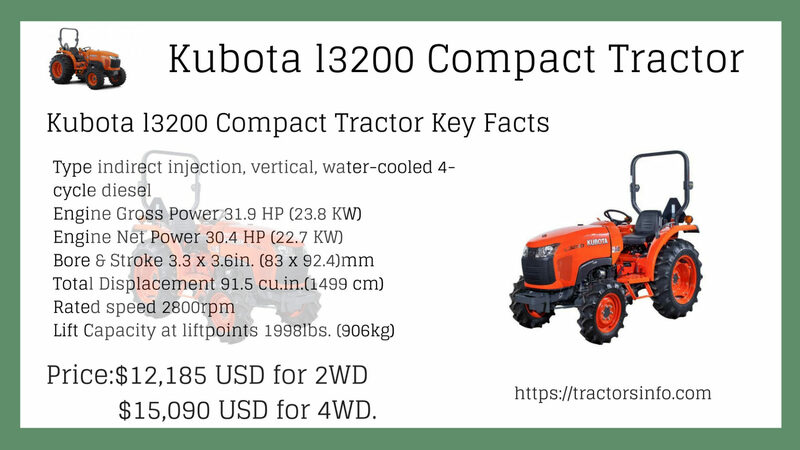 Kubota L3200 Tractor engines leading features such as Number Of 3 Cylinders, Engine gross power are 31.9HP (23.8KW), Bore & Stroke is 3.3 x 3.6in. (83 x 92.4mm), Total displacement Cubic capacity is 2800cc. The L3200 gear-drive model and L3200 HST model include a Transmission driven with overrunning Rear PTO for easier operation. 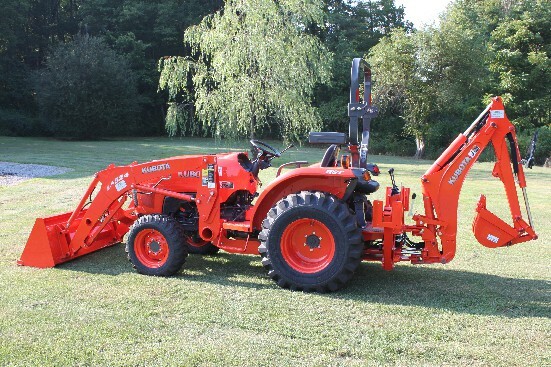 The Kubota L3200 tractor has a gear drive transmission, and hydrostatic transmission is very smooth and powerful. 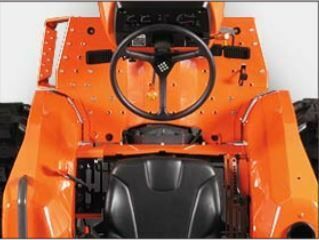 It has a 8 forward and 4 reverse gearbox system, enabling you to select the right speed for higher productivity. It has a Hydrostatic transmission, and 3 range speed is an in-line shifting pattern allows a single farm is shifting from low to medium to high. The shift is also conveniently located on the left side of the driver seat for easy operation. 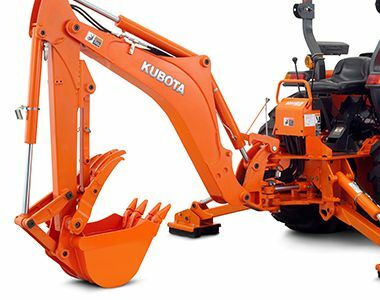 The Kubota L3200 Compact Tractor Hydraulic system is powerful and reliable because that is used for heavy loading work.The large capacity hydraulic pump and cylinder offer powerful lifting capacity, allowing you to use a wider range of implements. Its lifting capacity at lift points is 906kg and 24 in. Behind lift points 651kg. 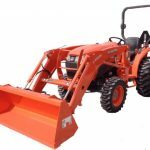 This tractor engineered with front loader and backhoe that is useful for digging and pulling work. The Kubota L3200 compact tractor has an ample 38-litre fuel tank lets you fill up with more fuel so you can operate longer. 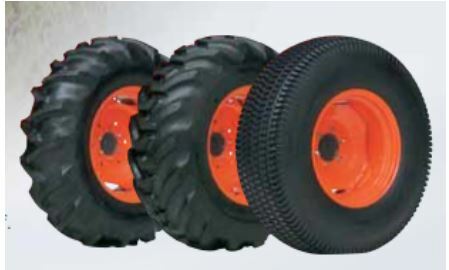 The Kubota L3200 Tractor has three types of tires such as AG Standard, Turf, Industrial. It provides better grip and traction on the field so that is less slip on the field and provides the long durability. 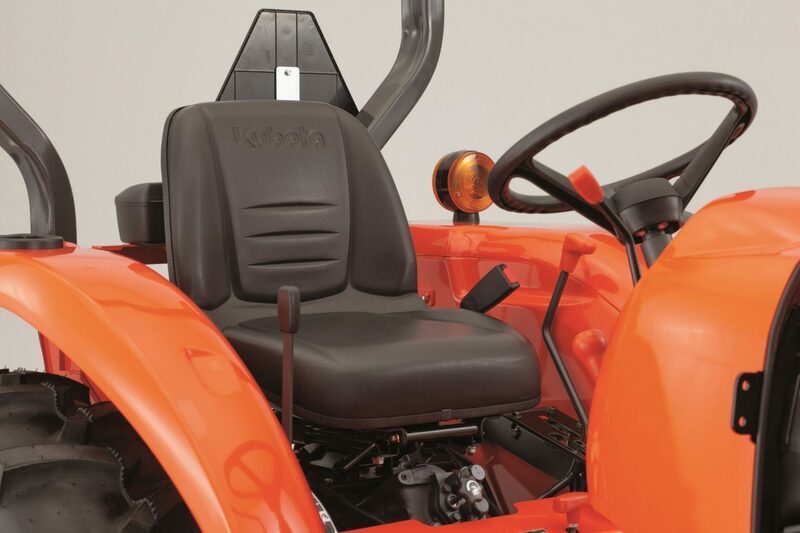 The Kubota L3200 tractor suspension seat provides a high level of comfort. This contoured seat is ergonomically designed to reduce operator fatigue, even after long workdays. 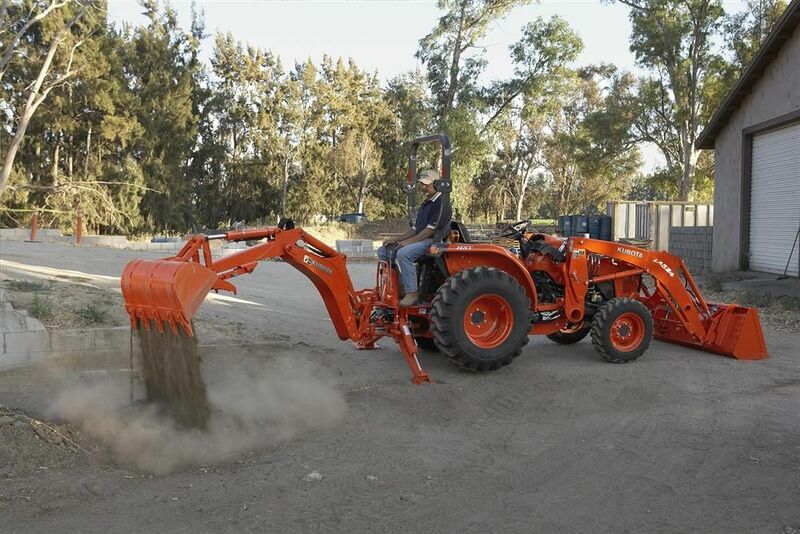 The Kubota L3200 tractor engineered with LA524AU Front Loader with curved boom design is specially designed to handle the big tasks, and that are providing improved lifting power and height as well as exceptional durability. A single-lever joystick offer easier operation. A regenerative dump circuit allows for quick bucket dumping, and the series circuit provides for simultaneous operation of the boom and bucket. The valve stays with the tractor when the loader is detached so that the valve can be used to other tools services. 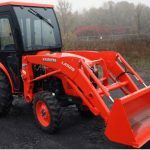 The LA524AU front loader thick single piece steel frames provide better durability as well as creating a better view of the tractor and the boom. The LA524AU Front Loader features high-quality, heavy-duty cylinders to bring more muscle to your loader work. The durable plating provides excellent pressure resistance and achieves superior rust protection. Maximum Roll Back Angle 45deg. Raising Time (Rated Flow) 3.3sec. Lowering Time (Rated Flow) 2.1sec. Bucket Dumping Time (Rated Flow) 1.4sec. Bucket Roll-Back Time (Rated Flow) 1.7sec. 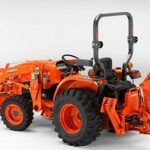 The Kubota L3200 Tractor engineered with BH77 Backhoe. 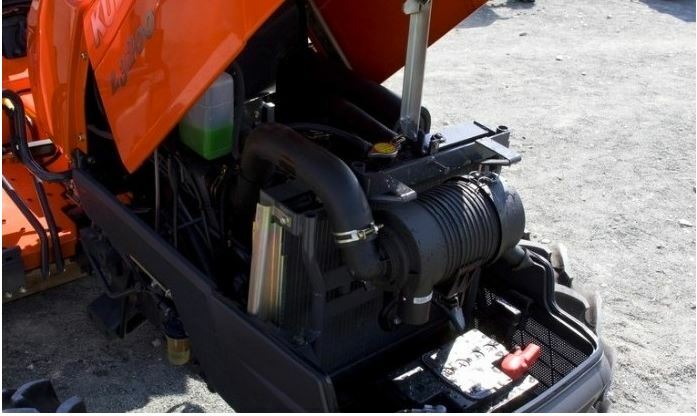 Its performance-matched with the L3200 to offer more power and greater capacity. And, thanks to the full-flat deck, the backhoe provide impressive legroom for maximum driver comfort. Its new curved boom provides greater digging position as well as simpler operation and better visibility. That quick attach/ detach mounting system makes attaching and detaching the backhoe a snap so you can quickly move on to your next work. The Angle of departure per SAE J1234 17.5deg. 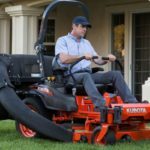 I tried to provide all kinds of information about the Kubota l3200 tractor. 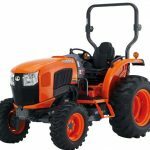 I hope that information is very useful for buying this tractor Because I get that all kinds of information through the official sites, but If you have any query about this article, then please comment below in the comment box, I will try to solve your problem as soon possible Thanks for visiting our site.